The Sports Archives – Your Guide To The London 2012 Olympic Games! With just under two months to go until the opening ceremony on the 27th July, the London 2012 Olympic Games are set to be a spectacular sporting event. The Olympics are being hosted in London for the first time since 1948, and has been the subject of constant preparation, financial wrangles and tension since London won the bid for the Games in 2005. Many of these problems have now been resolved and London is finally looking forward to the Games opening. The main part of the Games will run from Friday 27th July to Sunday 12th August, with the Paralympics then being held from the 9th August to September 2012. Over 10,000 athletes and 26 sports will play and be represented at the London Olympics. As ever, some of the most anticipated events will be the athletics and running, which will include Usain Bolt taking on the 100m, as well as Britain competing in the relay and 400m. Moreover, attention will be focused on swimming and diving, as well as Britain’s traditional strengths in horse riding, polo, and cycling. Other major team sports to be represented at the Games include football, which will see the rare sight of a Great Britain team competing. While preparations reach their final stages across London, and at the Olympic Park in Stratford, other events have been gradually progressing. The most notable of these events has been the Torch Relay, which sees different Olympic torches be carried around the UK and Northern Ireland by celebrity and ordinary torch runners. The Torch relay can be watched online, and has already taken in the South West of England and parts of the Midlands and Wales. The opening ceremony will take place on the 27th July. 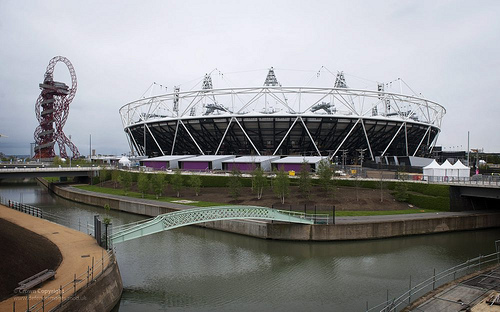 Most events at the Games will be held at the purpose-built Olympic Park in Stratford in East London. The Olympic Village will also be housed in the same area. Most track and other sports will take place here, while others will be held in different parts of London, as well as around the country. Horse Guard’s Parade will have volleyball, while the Isle of Portland in Dorset will host part of the sailing competition. Other events, such as the football, will take in other stadiums around the UK, while the Olympic marathon will cross London. Although most of the main events have now sold out, tickets continue to be allocated online for many other events, which can range from football matches through to more specialist sports. Details of these events can be checked online. London has invested significant amounts of money into ensuring that an infrastructure is in place to support the extra people who will be visiting the capital for the Games. 4,000 additional trains will be put on around the city, while London will also feature extra police, Wi-Fi hot spots, and other infrastructural changes during July and August. 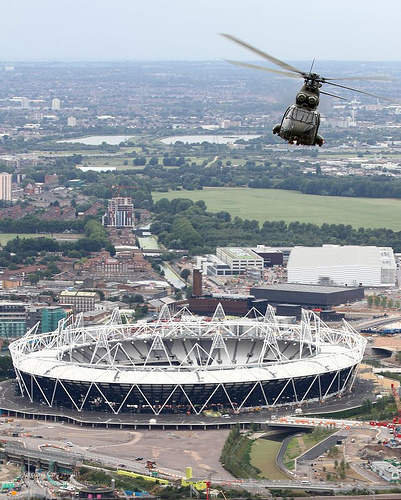 Those traveling to London for the Games should still, however, take appropriate caution, and should consider commuting into the city to avoid high accommodation charges near the Olympic Park. Brought to you by the bloggers from RunBreeze, offering a range of high quality running clothes & running gear. This entry was posted in Olympics, Other, Soccer and tagged 2012 London Olympic Games, cycling, diving, horse riding, london 2012, london olympics, marathon, olympic athletes, olympic games, Olympics, olympics 2012, Paralympics, polo, sailing competition, sport events, sports and leisure, Sports Archives, Swimming, Usain Bolt, volleyball. Bookmark the permalink. 1 Response to The Sports Archives – Your Guide To The London 2012 Olympic Games!